The NTA tends to release the NEET CUT OFF as the results are declared. The detailed information regarding Cut Off has been mentioned in detail below. The NEET Cut Off does release for two different quota's - State-level Quota and All India Quota. Candidates must score the minimum qualifying marks in order to participate in the NEET 2019 Counselling. The below-mentioned figures can vary when the NEET 2019 Results are out. The conducting authority, NTA reserves the right to modify the cutoff percentile. According to the statistics of NEET 2018 Cut Off, out of 12,69,922 candidates who appeared for the examination, only 7,14,562 did qualify the exam by scoring marks equal to or more than the NEET Cut off qualifying percentile requirements. According to the previous year data, candidates who belong to general category had to score at least 119 marks in NEET 2018 in order to get equal to or above the 50th percentile. Reserved category candidates have to score at least 96 marks in order to get equal to or above the 40th percentile. The candidates belonging to PwD category had to score at least 107 marks as per the qualifying Cut off requirements of NEET UG. The Top 15% NEET Examination scorers will be headed to the NEET counseling process directly under 15% All India Quota. The number of seats which are totally available. The number of candidates appearing for the examination. Lastly, The Difficulty level of the NEET examination. The minimum score which should be obtained to qualify NEET 2019 is known as the NEET Percentile Score. The calculation is done on the basis of Candidates relative position on the comparison to the other Rank holders. The All India NEET Rank is calculated on the basis of the absolute score obtained by the candidate in NEET. Lately, NEET Merit List will be used for the allotment of the seats in veterinary colleges for undergraduate courses like BVSc. and Animal Husbandry under 15% All India Quota. The NEET Result shall be applicable for admissions opening to all medical colleges of India excluding for AIIMS and JIPMER, they conduct their own medical entrance exams. For admission into UG courses in AYUSH (Ayurveda, Yoga and Naturopathy, Unani, Siddha, and Homeopathy), students must appear for NEET. The NEET PG Cut off has been reduced by 15 percentile. NEET Cut Off 2018 has been updated here. You can check the NEET Cut Off Marks 2018 in the below sections. Probably medical institutes & dental colleges based on the predicted marks (the calculation shall be done on the basis of the answer keys). This shall help candidates in filling the appropriate choices of colleges at the time of the registration process for the NEET counseling and making a realistic assessment of the college, they will be allotted during the seat allotment process. CBSE uses the percentile method to figure out the NEET cut off. NEET Cut off 2019 is stipulated in the form of percentage basis instead of the marking system. The Percentile represents a number where a certain percentage of score falls below that number. Hence, it relies on the candidates’ performance when compared to the performance of others. For instance, the NEET Cut 2019 off which is 50th percentile for the unreserved category candidates, which implies that a candidate is required to score more than 50% of candidates belonging to the specific category. The percentile mode of NEET Cut off also ensures that factors like the number of test takers and the preparation level of test takers are also taken into consideration to be maintaining the fairness of the exam. Supposedly, The candidate has scored Rank 50 in NEET and the total number of candidates appeared are 6, 00,000 in total. You need to get 50 percentile minimum for the admission in the respective Medical Institute or Dental colleges. The NTA shall be releasing 15% All India Quota NEET Merit List for pursuing admission to medical institutes and dental colleges participating in NEET. Those who obtain marks equal to the minimum percentile or more than NEET cut off (excluding candidates from Jammu & Kashmir) will be eligible for All India Quota admissions. Andhra Pradesh and Telangana have also joined other states in allotment of 15% of MBBS and BDS seats in Government Medical & Dental Colleges through NEET All India Quota Counselling, held by the MCC. The marks obtained in Biology in NEET 2019: The Candidate who obtains more marks in the subject Biology section which includes (Botany and Zoology) shall be given a major preference over the one who has scored fewer marks. The marks obtained in Chemistry in NEET 2019: If the above criteria fail, then the candidate resulting in more marks in Chemistry shall be placed above with those with lesser marks. The Number of Wrong Answers: Considering both the above statements, the tie remains after considering the above-mentioned criteria, then the candidate who has been resulted as the least number of wrong answers shall be preferred over the ones with more number of the incorrect number of responses. Age Factor: If the tie is still supposedly persisting, then the candidate who is older in age will be preferred over the younger ones. Note down the number of correct and incorrect answers separately by checking with the NEET Answer Key uploaded by the NTA. Match your examination score with the Qualifying marks mentioned by NEET. If the candidate has passed, Proceed ahead to check the cutoff for different colleges. The following table contains the different cut offs for NEET Exam. You just have to click on the topics in the table and it will take you to NEET Cut Off List. The NEET Cut Off 2018 is also available in the same section. Please see the cut off for your desired stream. The maximum marks appearing to be in the examination NEET are 720. The Candidates belonging to different categories must score at least the NEET Cut Off 2018 to qualify the exam. The category-wise number of candidates who have been qualified in the NEET 2018, along with the marks required to qualify in each category. The NEET Cut Off Marks 2018 are tabulated below. 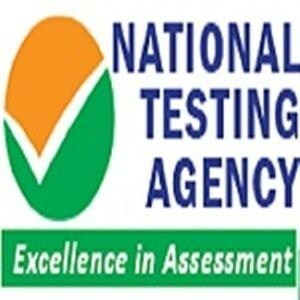 The conducting authority, NTA has to provide information on the NEET 2019 Cutoff. The Deemed University allocated by Authority of NEET 2018 have been mentioned in detail below. The NEET Cut Off Marks 2018 are also provided for the deemed universities. The NEET Cut Off 2018 for Bihar is provided in the table below. The cut off is classified for different colleges and categories which offer MBBS and BDS courses. The table below contains NEET Cut Off for MBBS for the year 2018. The tabulated information below is the cut-off for the candidates to be eligible for 15% All India Quota seats. The NEET 2018 and NEET 2017 was conducted by CBSE. As per the data analyzing the process of the NEET 2018 AIQ (All-India Quota) counseling process, candidates ranking up to 10,443 were selected for MBBS admissions under AIQ Quota, while for BDS admissions, candidates up to the rank of 17,093 were considered. NEET 2019 of AIQ last ranks under various categories to get admission to Medical and dental seats in NEET examination 2017, NEET 2016 and AIPMT 2015.